An amazing update Lou and a huge amount of small problems fixed. Great work Thanks. Welcome back Mark Saw you a lot in the beta, glad you came back for the full release. I recognise your name because I think I saw you when I was first starting out. Tons of bug fixes, Wilderness thieving, Clan chat setup! 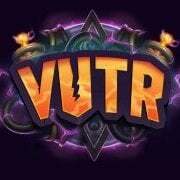 In-game Name(s): Runerova Timezone: - BST Will you be active within the Wiki Team? : Of course I will be. I'm on for a minimum of 8 hours a day. Soon to increase. Do you have prior experience editing a Wiki? : No experience but I am a quick learner and am sure I can pick it up within a matter of days. Why do you deserve to be in the Wiki Team? : I like my work to be perfect. I can't stand things not being perfect so I feel I will do the job to perfection, to my greatest ability. Also I learned a lot of things in the beta of this osrs version of grinderscape which I can use towards the wiki information off the top of my head. What do you expect to get out of the Wiki Team? I expect to work with people who I can trust and who will help me as much as i'm willing to help them.